Badri and Salim El Meouchi Law Firm has won a national award at the International Financial Law Review (IFLR) Middle East Awards ceremony, held on Wednesday October 19th, 2016, at Burj Al Arab in Dubai, U.A.E. For the fourth consecutive year, and the sixth year in total, Badri and Salim El Meouchi Law Firm was awarded the Law Firm of the Year Award for Lebanon, in recognition of the quality of its work, and the innovative nature of the cross-border transactions it has worked on. “We are very proud to have won this award for the fourth consecutive year – it truly is an honour. It is always a pleasure to see our team’s hard work being recognised, as we strive hard to provide world class service to local and international clients from our offices in Lebanon and Qatar.” said Chairman and Senior Partner Salim El Meouchi. 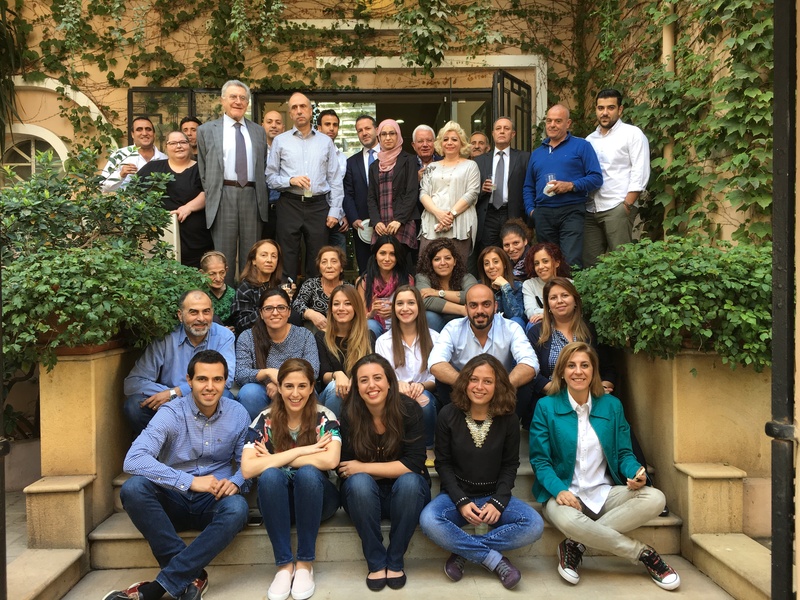 Badri and Salim El Meouchi Law Firm was also nominated for the Middle East Pro Bono Law Firm of the Year Award, in recognition of the hundreds of hours of pro bono work undertaken by lawyers at the firm for the community at large and for a wide range of causes and NGOs; the firm won this award for the Middle East in 2015. Badri and Salim El Meouchi Law Firm assists NGOs and associations working in fields as diverse as: health, leadership, the environment, combatting corruption, education, science, human rights, entrepreneurship and many others. 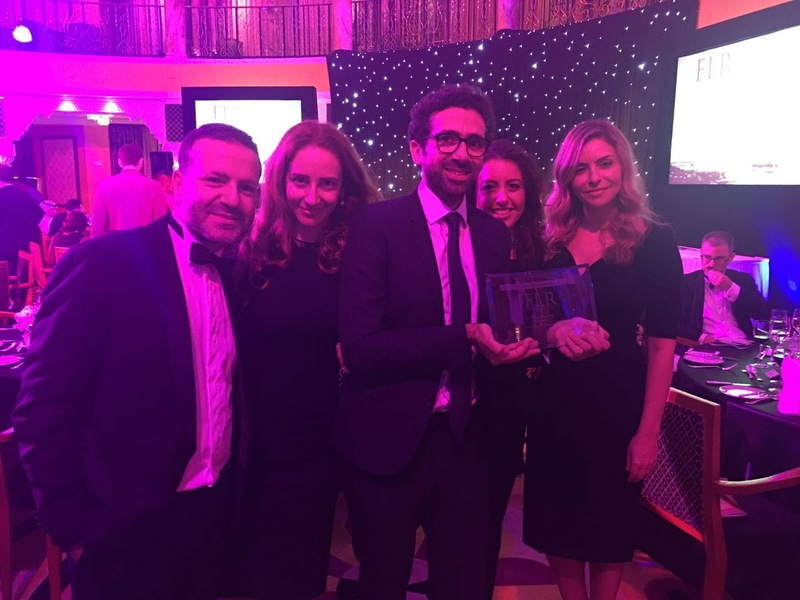 It is particularly impressive that the renowned Lebanese firm was nominated for this award alongside large international law firms including Clifford Chance, Linklaters and White & Case. 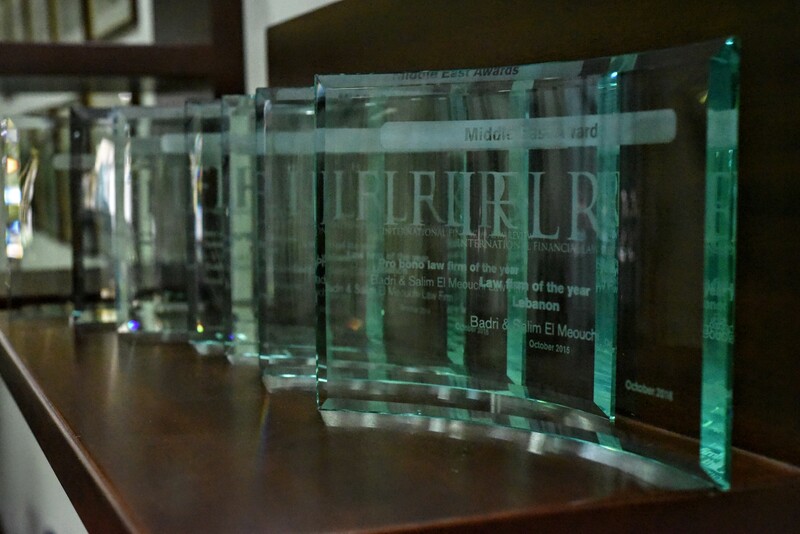 Badri and Salim El Meouchi Law Firm has won two awards at the International Financial Law Review (IFLR) Middle East Awards ceremony, held on Wednesday October 28th, 2015, at Burj Al Arab in Dubai, U.A.E. For the third consecutive year, and the fifth year in total, Badri and Salim El Meouchi Law Firm was awarded the Law Firm of the Year Award for Lebanon, in recognition of the quality of its work, and the innovative nature of the cross-border transactions it has worked on. “It is always a pleasure to see our team’s hard work being recognised, as we strive hard to provide world class service to local and international clients from our offices in Lebanon and Qatar.” said Chairman and Senior Partner Salim El Meouchi. Our firm assists NGOs and associations working in fields as diverse as: health, leadership, the environment, education, science, human rights, entrepreneurship, combatting corruption and many others. It is particularly impressive that Badri and Salim El Meouchi Law Firm won this award given that it was nominated alongside large international law firms including Clifford Chance, Allen & Overy, Linklaters and Clyde & Co.
We would like to take this opportunity to thank our clients for believing in our firm and trusting us with the opportunity of working on such exciting deals and cases. 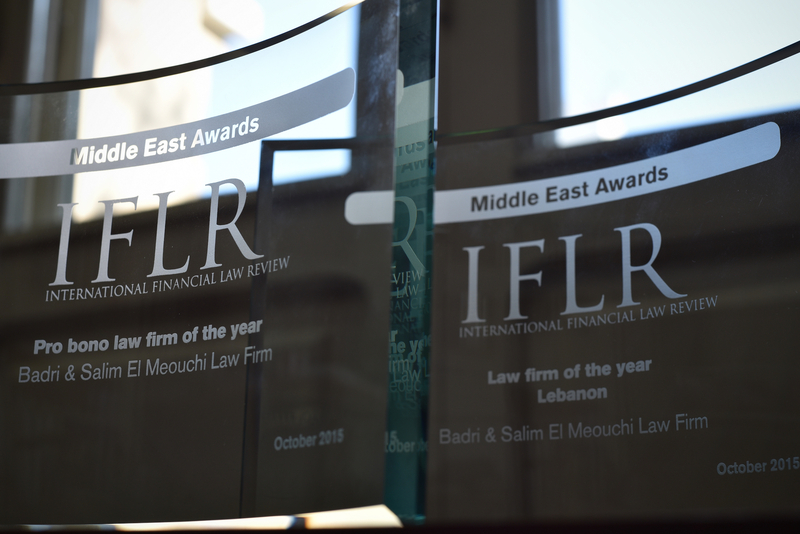 We are proud to announce that Badri & Salim El Meouchi Law Firm has been awarded Lebanon’s Law Firm of the Year 2011 Award by the International Financial Law Review. This is the second time the firm has been honoured with this award, the last being in 2007, noting that the firm has been ranked as leading law firm in Lebanon every year by the IFLR since 2004 and is highly noted and recognized in Qatar since its foundation in 2007. The IFLR is a leading legal publication, and notably publishes the highly respected IFLR1000 guide to corporate and financial law firms, which ranks firms based on reviews and feedback from peers and clients. We are honoured to be highly rated by this guide year after year. We are delighted to announce that Badri and Salim El Meouchi Law Firm was a Silver Winner of the Best Middle Eastern Law Firm of 2011 at the International Legal Alliance Summit in Paris, France. The International Legal Alliance Summit Awards are granted by the best law firms worldwide and to top In-House Counsels. 120 jury members select the winners, including general counsels of Fortune 500 companies and Presidents of In-House associations. In recognition of the firm’s performance at exceptional levels during one of the most difficult economic periods of recent years, we are proud to announce that Badri and Salim El Meouchi Law Firm has been ranked by InterContinental Finance Magazine as HIGHLY COMMENDED – TOP TIER FIRM for the 2011 program. The ‘ICFM – HIGHLY COMMENDED – TOP TIER’ status is considered by many to be one of the most important industry acknowledgements. Such recognition has been awarded for demonstrating a high level of ability and performance across the jurisdictions we focus on; we would like to thank each voter for the trust and confidence displayed by our clients and colleagues in our law firm.